SAN DIEGO–(BUSINESS WIRE)–Launched on 9/15, San Diego’s Stratify Genomics, Inc. announced Prompt®, a test to evaluate a man’s genetic predisposition to prostate cancer, designed to provide knowledge of an individual’s baseline prostate cancer risk, which is critical to an informed conversation regarding the risks/benefits of prostate cancer screening. Currently, there are 35,000 men annually who are unaware of a curable form of clinically significant prostate cancer. Relying solely on family history, 80% of prostate cancer cases would be missed. The most common screening tool, prostate-specific antigen (PSA) testing, has declined in usage due to controversial guidelines, which has led to a significant increase in metastatic prostate cancer. Prompt® can take the guesswork out of the decision to have a PSA screening. 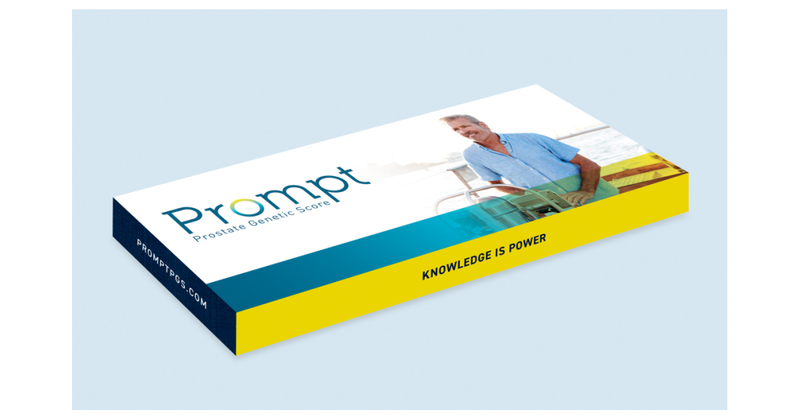 Rather than screening all men solely based on family history, Prompt® offers a stable, objective measure, including family history, of lifetime risk of prostate cancer. Clinicians can focus screening efforts on men who are at greatest risk and better informs patients of their individualized risk. This test, performed with a cheek swab sample, at any age, can help men know their individual risk and may identify high-risk men. By focusing PSA screening on men at higher risk, the healthcare system could realize billions of dollars in costs savings annually, with tens of thousands of men potentially saved from developing metastatic prostate cancer. With a scientific advisory board made up of prestigious names that include Dr. Gerald Andriole, Dr. Christopher Kane, Dr. Karim Kader and Dr. Franklin Gaylis, Prompt® is based on a decade of work and hundreds of millions of dollars in research funding. It has been validated in over 10,000 men and indirectly validated in over 100,000 men. The test incorporates the genetic information from dozens of prostate cancer-risk associated SNPs. Stratify is currently working with nine major partners and urology clinics across the country. To learn more about Stratify Genomics and Prompt®, please visit http://www.stratifygenomics.com/ or call 888-571-8810.